Sport team caps by Nike, all with adjustable back strap. Please select option for Athletic Caps by Nike (8 Sports). Basketball Cap by Nike. Adjustable back strap. 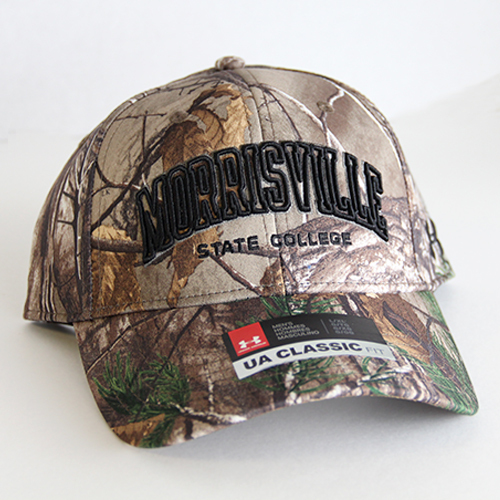 Camouflage hat with adjustable band by Legacy, with Morrisville State patch. 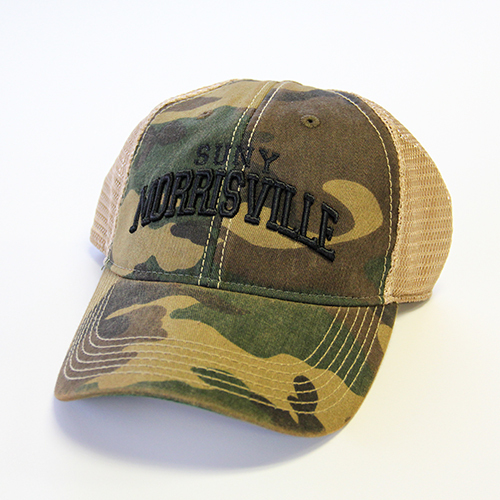 Camo trucker cap with SUNY Morrisville stitched on the front. Adjustable band. 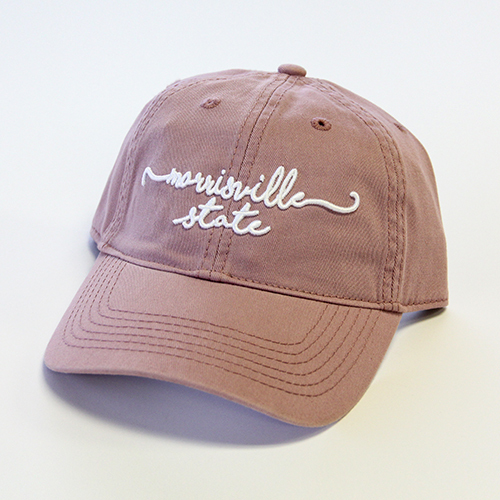 Morrisville State Dairy cap with adjustable band by Richardson Caps. Twill cap from Legacy in dusty rose. Adjustable band. Adjustable banded equestrian hat by Richardson Caps. Available in white or gray. Please select option for Equestrian Cap in Two Colors. 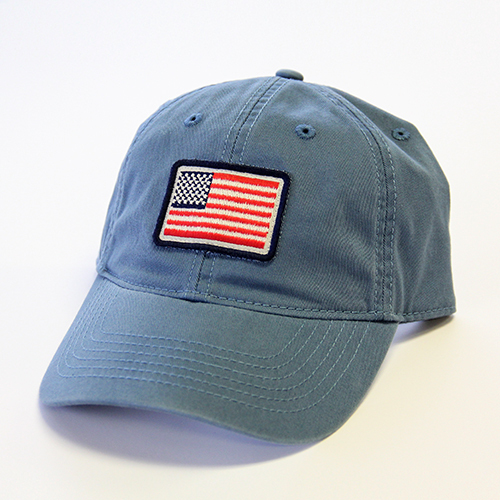 Blue twill cap from Legacy with US flag patch on front, and Morrisville stitched over band in back. Adjustable band. Lacrosse cap by Nike. Adjustable back strap. 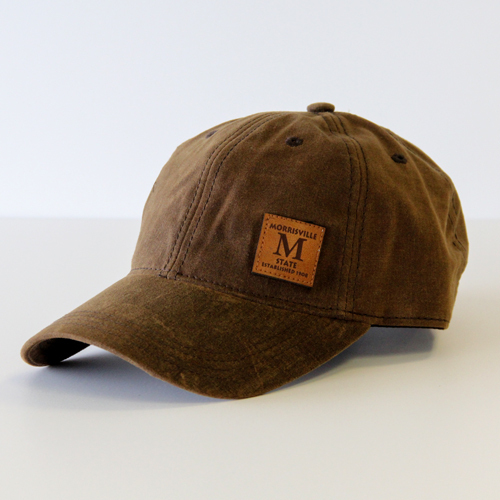 Genuine 100% waxed cotton cap. Full top stitching, soft cotton sweatband. Adjustable fabric strap with antique brass slide buckle. Dark brown with leather applique. Relaxed twill caps from Legacy. Available in three colors, all with adjustable backs. 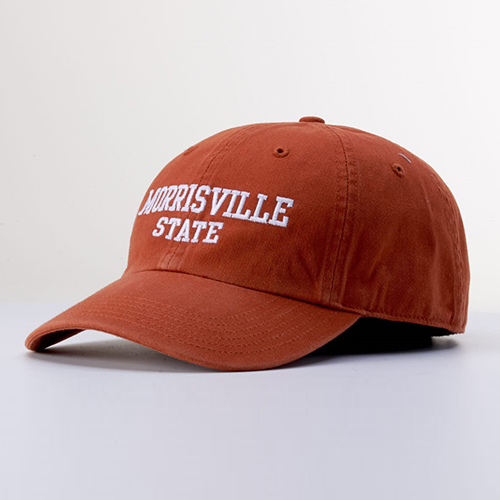 Please select option for Morrisville State Caps (3 Colors). Twill caps by Richardson, with adjustable bands. 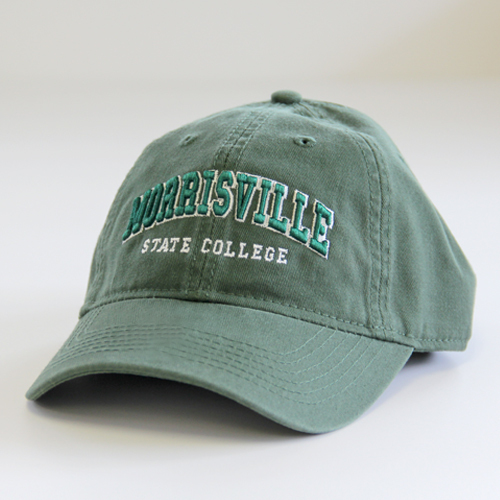 Morrisville State embroidered on front. 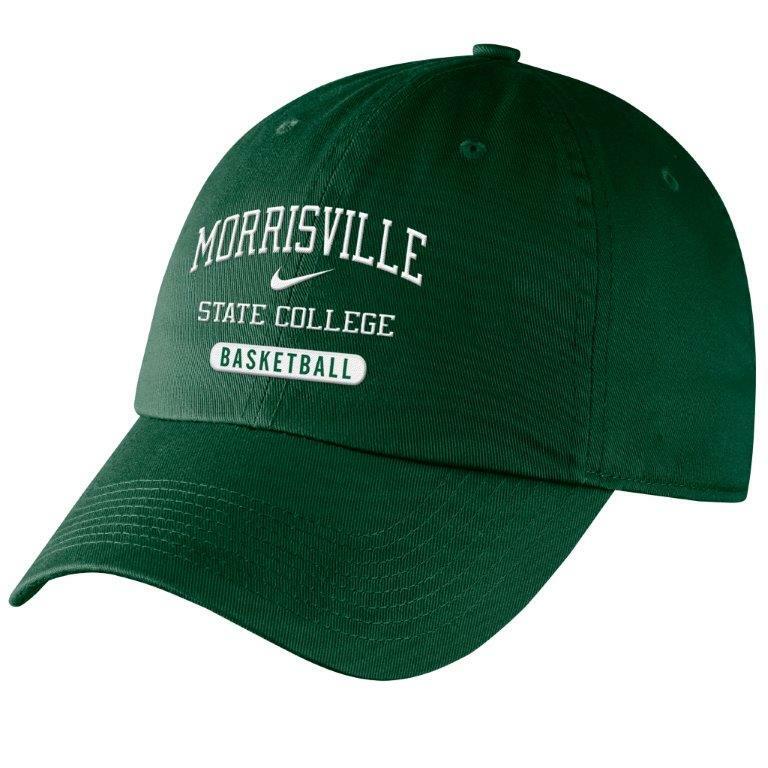 Please select option for Morrisville State Caps in Assorted Colors. Green Morrisville State visor by Richardson. Adjustable back. 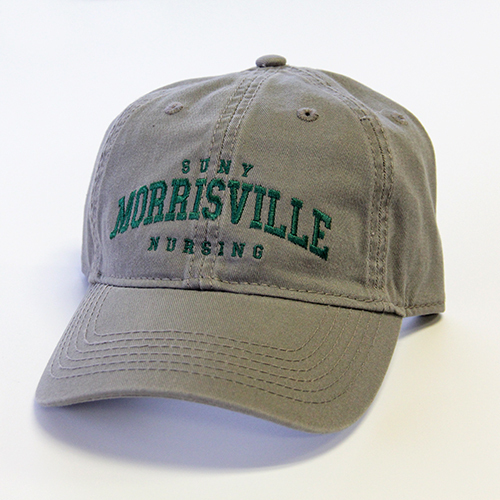 SUNY Morrisville nursing cap in white or gray. 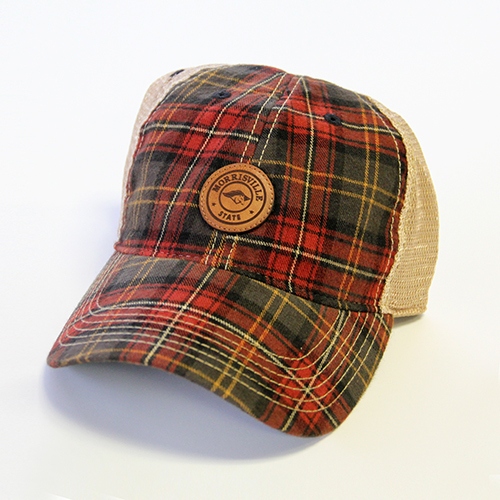 Twill cap from Legacy with adjustable band. Please select option for Nursing Cap in Gray or White. This trucker cap is dressed in a very cozy looking plaid, and comes with a leather patch bearing the Morrisville State Mustang log. Adjustable banded. Adjustable banded hat by Legacy, with SUNY Morrisville embroidery. 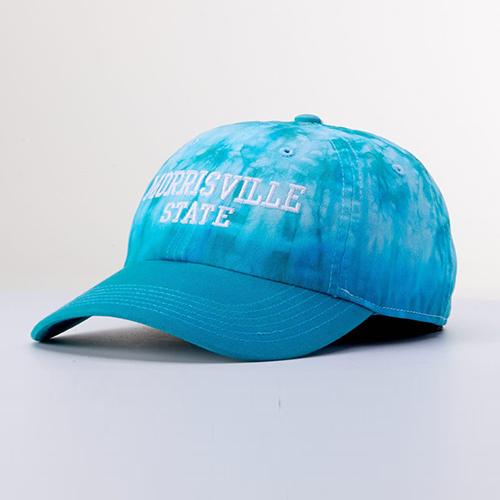 Tie dye hat from Richardson with adjustable band. Available in teal or pink. Please select option for Tie Dye Hat - Teal or Pink. Flint gray trucker cap with adjustable band from Gear for Sports. 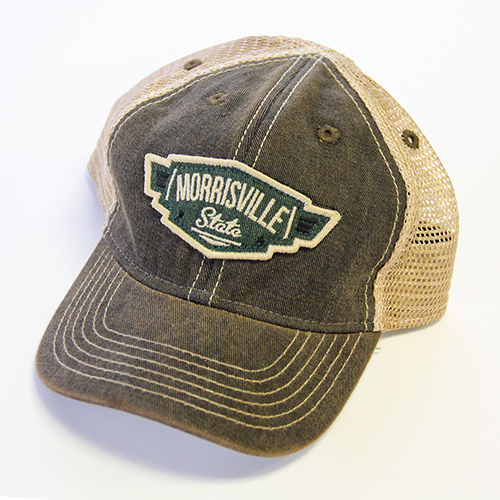 "Dirty" trucker cap with Morrisville patch by Legacy. Adjustable back, open mesh sides. Relaxed twill cap from Legacy. 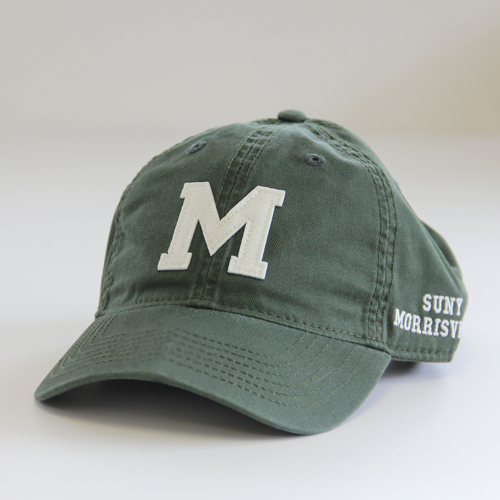 Felt M on the front, SUNY Morrisville stitched on the left side in white. Adjustable back. Adjustable back cap from Richardson. Available in Texas Orange, Royal Blue, Light Blue or Soft Yellow. Please select option for Washed Chino Hat in Four Colors.